In Europe, two brands have helped define street style and club culture as we know it today. Amsterdam-based Patta built a foundation on bringing the latest sneakers to its local community, growing into a globally recognized player in the street style landscape and a cultural destination. Deviation, one of London’s most successful club nights spearheaded by Benji B, has evolved in the last decade from underground East London parties into a label of experience and sound. On December 21, Patta and Deviation come together to celebrate the respective cultures they serve and the evolution of their brands to deliver an apparel and footwear collection in collaboration with Converse. 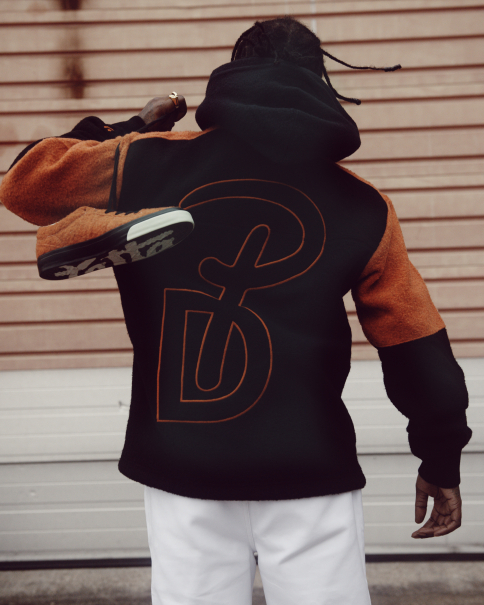 The hero item of the look is the full zip hoodie, a Converse Essentials classic style veneered with Casentino wool and the Patta x Deviation logo, color blocked in navy, black and orange. Layered under the Coaches Trench Coat, the collection’s interpretation of elevated street outerwear – it is mindfully designed with DWR Coated Cotton Twill with storm entry welt pockets, for an extra level of protection from the elements. Embroidered collection logos are featured on at the left chest and sleeve, and graphically applied to the interior. The Converse x Patta x Deviation collection is available globally from December 21 at PATTA and on Converse.com.